Requires 50% less force to staple at capacity. Easy jam release button. Includes user guide on clearing jams and loading staples. Box of 400 staples included. Strong metal construction with rubberised handle. Uses Mercury Lite Touch HD staples. 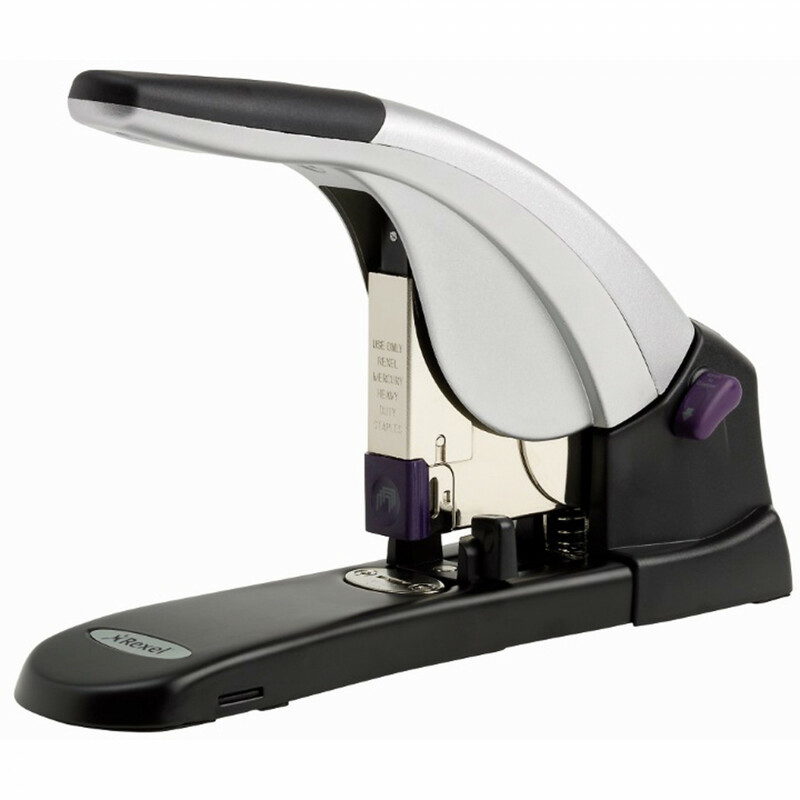 Accepts Staples: Rexel® Heavy Duty Staples Mercury (2100928).